How far is Hoover from Galveston Jetties? 150 from Freeport. Not what you asked but should give you an idea. In a single engine or twin? You went to Hoover on a boat with a bow mounted trolling motor? Impressive. How did the power pole work out there? How did the power pole work out there? You know they are putting bow mounted trolling motors on 31’ cc now? Boat looks like a deep sided deep bee to me. I’d do it. I used to fish auger in my sailfish 2660 cc. Even first passed a blue right in front of No Compromise while he was live baiting. 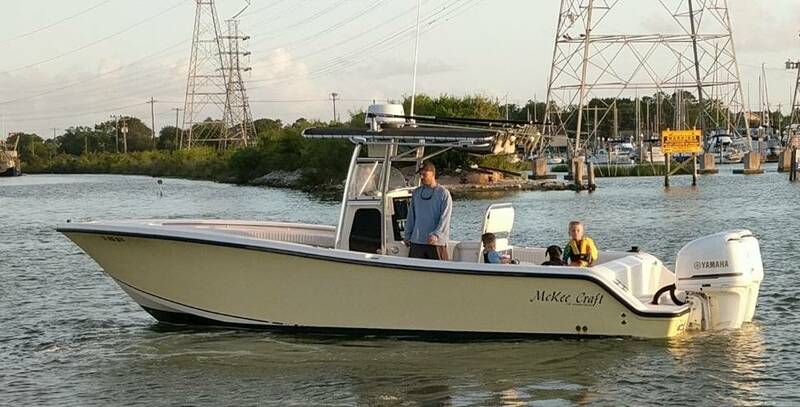 It's a 28' McKee. And an 84" Rhodan, 120#. The more people that think it's silly, the better...because it will make bottom fishing unfair. For the record, they put them on 37' & 42' Freeman Cats. Trolling motors aren't just for bass and bay boats anymore. Give it 2-4 years, and you'll see builders offering them as a factory rigged option.